Today, when you order "Z.A.P. 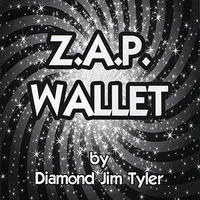 Wallet (BLACK) by Diamond Jim Tyler", you'll instantly be emailed a Penguin Magic gift certificate. You can spend it on anything you like at Penguin, just like cash. Just complete your order as normal, and within seconds you'll get an email with your gift certificate. 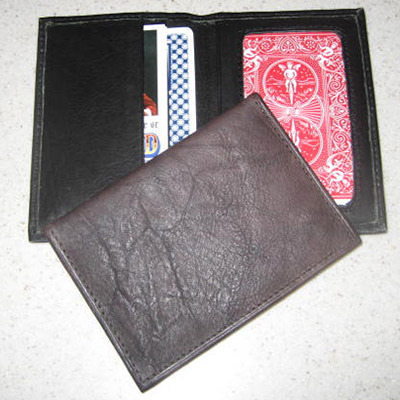 This thin, sleek, normal looking, pocket-sized, affordable, leather business card wallet will zap you the information needed for your favorite mind-reading routine. 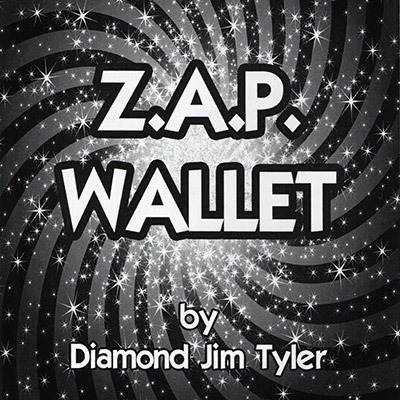 With the wallet you'll receive Diamond Jim's thinking and some subtleties when handling the Z.A.P. Wallet. This is a great little secret weapon to have in your arsenal and you'll find it functional for everyday use since it holds business cards plus a packet trick or two. The Z.A.P. Wallet is something you will use! THis is a nice business card wallet to carry that happens to be a killer way to gain secret info ( using a subtle move from amazing Docc Hilford ). You can carry loops, etc. with this little gem of a wallet. 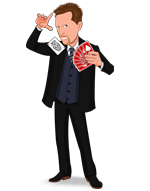 Simple, easy to use, and very deceptive p@@k wallet for up close thought reading, drawing duplications, and other mental miracles. I LOVE the Z.A.P. Wallet...and what a bargain, too! Super basic but effective for basic mind ready effects. Have to be careful not to flash the peek but shouldn't be an issue. Might be a bit over priced for what it is, but it purposely says in the instructions of how to use it that it is "low tech" and as they state that's a good thing. Want a super simple peak wallet, this is it. Not sorry I got it, has come in handy.